As we move ever further into a health-conscious, technology-driven future, we are treated to both the realities of the modern world and the marvels invented to handle them. One such reality we face is the condition of tap water. It is laden with chemicals, some of them carcinogenic. Fortunately, there is a solution to this reality: carbon block filters. In this article, we will examine the differences between these three types of activated carbon. While coal-based activated carbon is the older form of the technology, coconut shell-based carbon has emerged as a reliable and highly effective option. Additionally, we will investigate why you need a water filter, the background of activated carbon filtration and the differentiating factors that impact material effectiveness as filters. Why Do People Use Carbon Block Filters? 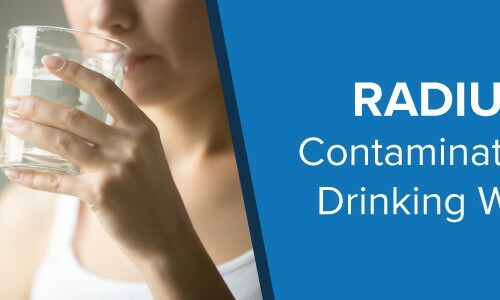 The short answer is that tap water is laden with chemicals, particulates, bacteria, organic matter and toxins that either evade regulation or comply with current, inadequate regulatory standards. Carbon block filters provide the best-known line of defense against these infiltrators. By installing one in your home, it doesn’t matter what happens in the utility system outside — your own water will be better protected from potential hazards. The reason chemicals and toxins are present in tap water comes down to the challenges utility companies face. When water is taken from any natural source — a spring, reservoir or other — it may be potable in some cases. For safety reasons, it is often treated and disinfected regardless of its immediate potability. However, in order to distribute the water to local users, it must pass through a long network of pipes. In doing so, the water has plenty of opportunities to pick up unwelcome hitchhikers such as bacteria. The solution to this problem is to disinfect the water using chemicals like chlorine. Additional chemicals find their way into water as well: volatile organic chemicals, bromates, fluorides, sulfates, nitrates and more — even radioactive isotopes such as radium. These may be byproducts of disinfection. Others may result from runoff from agriculture, lawns, streets and industry. Still others, such as radium, are naturally occurring in the earth’s crust. Regardless, one or more of them are present in most tap water and need to be removed. 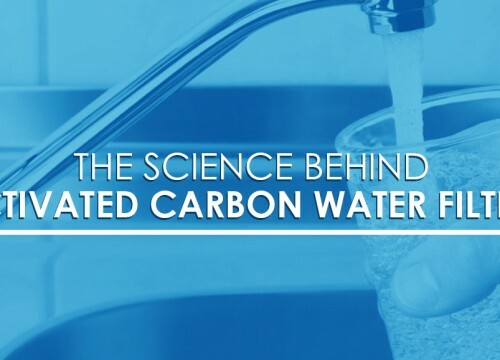 Carbon block filters’ effectiveness is due to some incredible properties of activated carbon, which has emerged as the most promising and elegant solution for water filtration. What Is Activated Carbon Filtration? Activated carbon is an adsorptive material — that is, one that distributes liquid into a thin film across its surface. It is carbonaceous and has a complex structure. It is extremely porous, with a rigid structure composed of chaotic jumbles of carbon atoms bonded randomly with their neighbors. The untidiness of this structure leads to millions upon millions of pores throughout the material. These nooks and crannies create an enormous amount of adsorption space: just one pound of activated carbon contains roughly 125 acres of surface area. As carbon is the building block of life, activated carbon can be taken from numerous different sources, including olive pits, peat moss and more. However, filtering water imposes a particular set of constraints on activated carbon. It is important to choose a specific type of material that adsorbs water, adds minimal taste or odor, removes impurities and does not get clogged up in the process. For this reason, the main contenders for the job are activated carbon made from coal, wood and coconut shells. What Are the Key Elements of Activated Carbon Filtration? Adsorption is the most important factor for filtration in activated carbon. As water spreads out over the surface area of the rigid block, the dissolved solids within it are attracted to the surface of the carbon and remain while the water continues onward. Additional filtration comes from the size and volume of the pores themselves. The total pore volume refers to the amount of surface area inside one gram of activated carbon — the higher the pore volume, the better, assuming the pores are the appropriate size. Carbon is activated using controlled oxidation. The carbon is subjected to high-temperature steam, which increases the porosity within the material dramatically. Carbonaceous materials are generally porous, but the steam serves to increase the porosity by several orders of magnitude. While normal carbonaceous material may have 10 to 15 square meters of surface area per gram, the process of activation can increase this to 1,000 to 1,200 square meters per gram. The attraction between dissolved contaminants and the carbon itself could result because the contaminant itself is hydrophobic — that is, it naturally separates from water. This means the carbon surface is more attractive to the molecule. Alternatively, the molecule could simply exhibit a natural attraction toward carbon. Sometimes both scenarios are present at once. Hydrophobicity is an important factor in activated carbon filtration, as the majority of organic pollutants in our water exhibit this quality. While they do not bind with the highly polar water molecule, they do bind with carbon, which is non-polar. This is why activated carbon is uniquely capable of removing otherwise difficult volatile organic chemicals, byproducts of disinfection, herbicides and pesticides. Coal is convenient for carbon filtration because it is readily activated and has high availability. There are three types of coal that can be used for filtration: anthracite, bituminous or lignite. Of these, bituminous coal is the ideal choice due to its higher microporosity, its resistance to impact, its strength and the ease with which it is regenerated. It is often referred to as “black coal” and contains the same substance used in asphalt. The reason lignite charcoal is not as common as bituminous coal is that the carbon content is not as high. This means it has a higher mineral content and not as much total pore volume per weight. Adsorption occurs within pores so the higher the pore volume per weight the better. Anthracitic coal, while useful in some industries, does not have as much use in water filtration due to its difficulty in activating. Bituminous coal forms when lignite coal is subjected to high pressure. For this reason, it is found in nature as an organic sedimentary rock and is the result of a peat bog that was compressed long ago. It has a carbon content of between 70 and 90 percent. It requires mining. In order for bituminous coal to be extracted, it must be mined from the earth. Mining, while a vital part of many industries, can be avoided in this case by using other forms of carbon. Coal mining is often harmful to the environment, and bituminous coal is particularly dangerous for miners due to the explosive gases it releases. It affects taste. Bituminous coal can leave water with a certain taste, which is the result of releasing byproducts into the water. It contains unhealthy chemicals that can release into water.Though coal is still a safe option for carbon block filtration, it does have certain chemicals that leach into water, which affect taste and make for a slightly less filtered end product. It has larger pores than other types of activated carbon.The pores in bituminous coal are much larger than those in other carbon blocks, making them less able to strain out smaller particulates. Wood provides a different type of filtration than coal. Wood-based carbons possess a different type of porosity, mostly made of meso- and macro-pores, that create a low density. Because the activated carbon comes from wood, it is also a renewable resource and does not require mining. The difficulty with this renewable resource lies in the fact that trees take decades to reach maturity, meaning the activated carbon relies on this waiting period. One of wood carbon’s strong suits is its ability to decolorize and remove taste from water. With an abundance of larger pores, it attracts certain dissolved chemicals and removes larger particulates. Wastewater treatment plants use it to filter water, while the food industry often uses it to decolorize juices, liquors and other products. Wood carbon is also non-toxic. Before it is bound together into a carbon block, it looks like a finely ground black dust. The wood from mature trees is pulverized, and manufacturers then turn it to activated carbon by means of either the phosphoric acid or zinc chloride method. Phosphoric acid is preferable due to its increased speed and the fact that it produces no zinc salt. The result is carbon that has effective porosity, rapid filtering and good adsorption. Wood-activated carbon is best for those who wish to remove taste, color and odor from their water. It is good for removing certain contaminants. Particularly for those who wish to remove certain flavors, odors or colors from their water, wood activated carbon is a good choice. Its large pore size makes it particularly suited for these abilities. It is renewable, but not always easily available. Due to the amount of time it takes trees to mature, each piece of wood can represent several decades of time investment. However, this type of resource is replenishable and has a low carbon impact. Its pore size makes it unable to filter out many contaminants. Because wood-based activated carbon is largely composed of meso- and macro-pores, it is unable to remove many finer contaminants. This makes it less ideal for those looking for higher-grade filtration. Coconut shell represents one of the newest and most promising options for activated carbon block filters. The density of micro-pores is much higher in coconut than in other forms of activated carbon, meaning it has more surface area and more general porosity. By way of comparison, it contains 50 percent more micro-pores than bituminous coal. This makes coconut better able to adsorb volatile organic chemicals, which are otherwise difficult to remove from water. Coconut shell carbon’s purity also makes it a better candidate for activated carbon. Whereas other carbons can contribute taste due to inorganic ash, coconut contains a relatively low amount. This creates a more consistent, uniform and non-leaching carbon block that outperforms other options in terms of quality. Manufacturing coconut shell activated carbon is also easier. Coal and wood both produce significant amounts of dust and fine carbon particles, while coconut produces less of these potential contaminants. Due to this lack of dust, and to the fact that coconut harvesting is a year-round, renewable activity that does not kill trees, this can be considered a green method of obtaining activated carbon. They are renewable.Coconuts grow in tropical climates and can be preserved for many years. This makes them able to continuously produce carbon, whereas a tree by itself cannot produce more than one supply of wood in its lifetime. They grow throughout the year.Coconuts can be harvested three to four times throughout the year, allowing for steady retrieval of carbon sources. They are a green source of carbon.Think of trees as stored carbon. They take carbon dioxide from the atmosphere and store the carbon, producing oxygen in the process. By nurturing coconut trees and continuously using their shells for carbon blocks, that stored carbon is staying in solid form — not burning away into the atmosphere. They have a high porosity. Additionally, coconut shell activated carbon has a high density of micro-pores, allowing for the best filtering of contaminants. They have a tight structure. Another benefit of the microporosity of coconut shell carbon is that it creates high mechanical strength in the carbon. This means increased hardness and good resistance to wear. They create cleaner water.The most notable benefit is that coconut shell activated carbon creates the cleanest water of any activated carbon. This is due to its porosity, total pore volume and lack of leaching. CB Tech leads the industry in clean, customizable carbon block water filtration and purification designed to meet customers’ specific needs. Flexible manufacturing capabilities can scale for both small and large quantities, and custom filters ensure peace of mind and clean drinking water for anyone. CB Tech offers a combination of history, expertise and performance that places us at the head of the pack in water filtration. 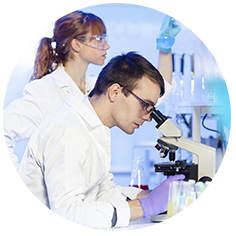 In addition, extensive certification of our products ensures world-class quality. Finally, the versatility makes clean drinking water accessible to more people. CB Tech’s customer service is also unparalleled in this industry. For more information about carbon block filters, please browse the website and contact us with any questions.